The freedom to charge and use your device in comfort. 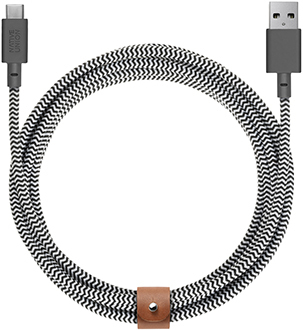 The extra-long braided cable gives you the freedom to charge and use your device in comfort. The cable is resistant to wear-and-tear, plus it has retro style that looks great in any environment. Roll up excess cable and secure it with the integrated leather strap for a tangle-free and tidy home.